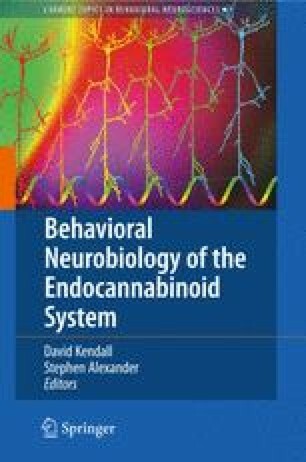 The evidence that has been gathered to date strongly argues for an inhibitory role of endocannabinoid (ECB) signaling in regulating HPA axis activity. Under basal conditions, ECB signaling appears to be a driving force in the maintenance of low HPA axis activity, as disruption of CB1 receptor activity results in basal hyperactivity of the HPA axis. Under conditions of acute stress, ECB signaling likewise appears to constrain activation of the HPA axis, possibly via both distal regulation of incoming amygdalar inputs and local regulation of excitatory input to CRF neurosecretory cells in the PVN. ECB neurotransmission is, in turn, modulated by stress, possibly acting as either a “gatekeeper” of the HPA axis, or a recovery system aimed at limiting HPA axis activity. Consistently, pharmacological enhancement of ECB signaling attenuates stress-induced HPA axis activity while impairment of CB1 receptor signaling results in an exaggerated cellular and neuroendocrine response to stress. Additionally, under conditions of repeated stress, a progressive increase in limbic 2AG/CB1 receptor signaling contributes to the development and expression of neuroendocrine habituation. Ultimately, these data demonstrate that the ECB system is likely to be an integral player in the neuronal response and plasticity to stress. The relevance of this relationship has not been fully explored with respect to both normal homeostasis and pathological states characterized by alterations in HPA axis function, but will be a focus of future research.